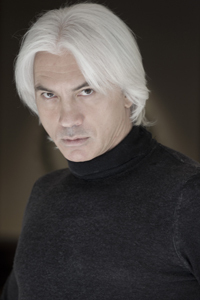 Ondine is pleased to announce the start of a recording partnership with baritone Dmitri Hvorostovsky, who is internationally recognized as one of the greatest vocal performers of our time. February 2012 will see the international release of the first recording, with Dmitri's long-standing piano partner Ivari Ilja, of Romances by Sergei Rachmaninov, including such popular songs as Spring waters (Vesennije vody), Op. 14 No. 11, and In the silence of the mysterious night (V molchan'ji nochi tajnoj), Op. 4 No. 3. The physical CD release (31 January in North America and the U.K.) will feature 26 songs; the album release for digital download or streaming (3 January) will include two additional bonus tracks, Lilacs (Siren'), Op. 21/5, and The raising of Lazarus (Voskreshenije Lazarja), Op. 34 No. 6. Future projects will include a song album including Tchaikovsky, Mussorgsky and S. Taneyev, as well as a recording of Russian opera arias. Dmitri Hvorostovsky comments on his signing to Ondine: "I look forward to my new long-term recording collaboration with Ondine and the creation of many inspiring pieces for generations to come!" Reijo Kiilunen, Managing Director of Ondine, states: "It is my great pleasure to welcome Dmitri Hvorostovsky to Ondine, and I look forward to collaborating with one of the most admired baritones of our times. His unique charisma and sovereign authority are wonderfully highlighted in the kind of repertoire which we are about to release in the coming years."